Well, look what found their way into my briefcase at the NSA Group Commissioners’ meeting on Tuesday night (10 sets to be precise). But you still have to earn them! October 16, 2011: Black Mountain Done → Scouters Jody & Maciej with Scouts Wojtek, Simon & Conner. 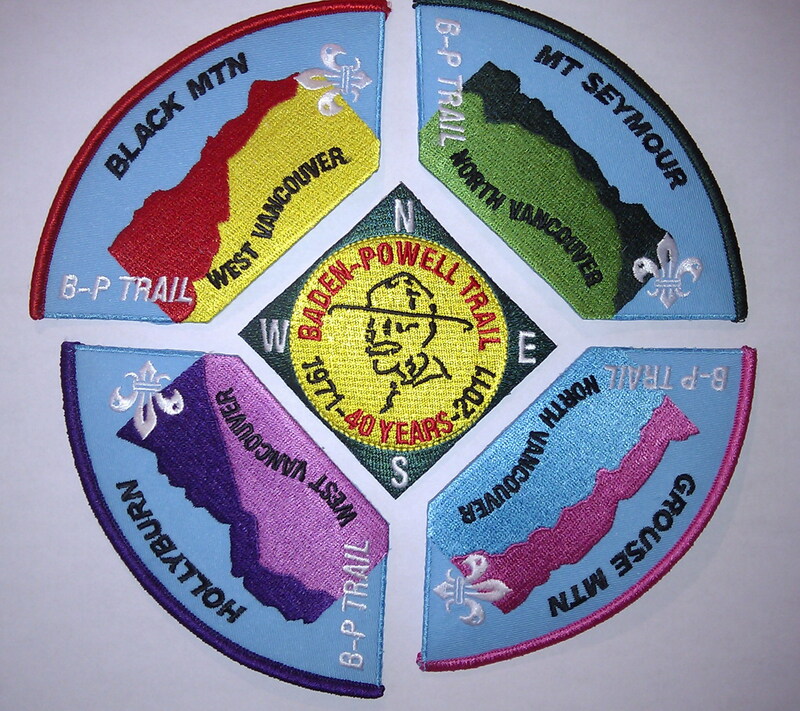 North Vancouver Scouter Ralph Rinke devised The Baden-Powell Trail Challenge to celebrate the 40th anniversary of its opening in 1971. Part I: Horseshoe Bay straight up over Black Mountain to Cypress Provincial Park – COMPLETED. “A steep but rewarding trail, with magnificent views over Howe Sound, leads to the alpine meadows and small lakes of the summit plateau. Although close to Vancouver and easily accessible, Black Mountain demands considerable expenditure of energy by those who ascend it from the west; the result, however, makes it worthwhile.” 103 Hikes in Southwestern British Columbia, Mary & David Macaree. 7 hours. 3500 feet elevation gain. A “considerable expenditure of energy“…yeah, you might say that! Note: Click on a picture to start a full screen carousel slide show with captions. Nearing the top after 3 hours of “grinding”. Now we just have to hike another 4 hours to get back to the car that we left at the Nordic Ski Area parking lot on Cypress this morning. Done! Now, when do we knock off the other three sections of the trail? We want that badge Scouter Ralph Rinke designed!